Mickey's PhilharMagic is a 4-D attraction that debuted in October of 2003 in the Fantasyland portion of the Magic Kingdom. The theater seats nearly 500 guests, and offers a nice, comfortable twelve minute break from the hustle and bustle of the parks. The lobby area where you wait to enter the main theater can often get crowded and chaotic, but it too is indoors. Find a cozy spot near the main theater doors and soak it up as you wait. Just a tip... of the three sets of doors that open from the lobby into the theater, the door on the left will open toward the front of the audience seating area. With the ginormous 150 ft. wide screen, there's hardly a bad seat to be found, however... so please don't do the usual 'stampede over others to get to the front row' routine. 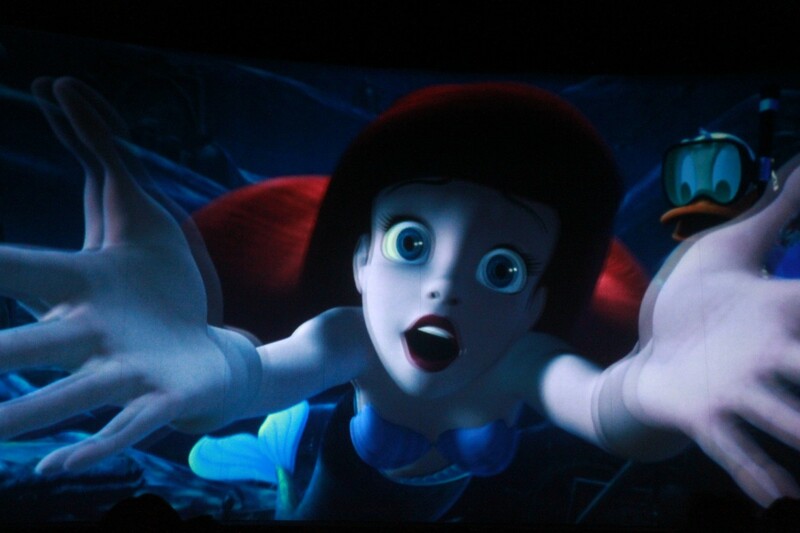 Don't forget to grab your 3-D glasses! 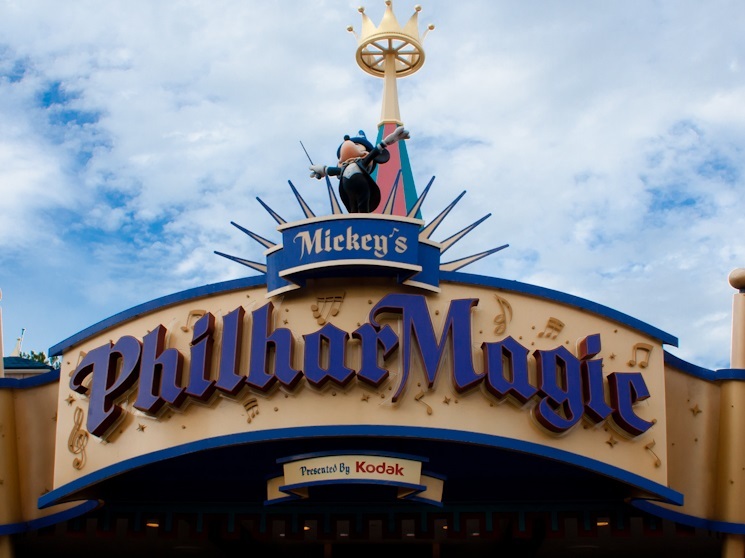 PhilharMagic is a 3-D animated feature film that enlists a virtual who's who of Disney talent, including Mickey, Donald, Lumiere, Peter Pan, Simba, Ariel, Aladdin and Jasmine, among others. The production is complete with 4-D effects to tantalize every sense but taste (and with those smells, it comes close!!). 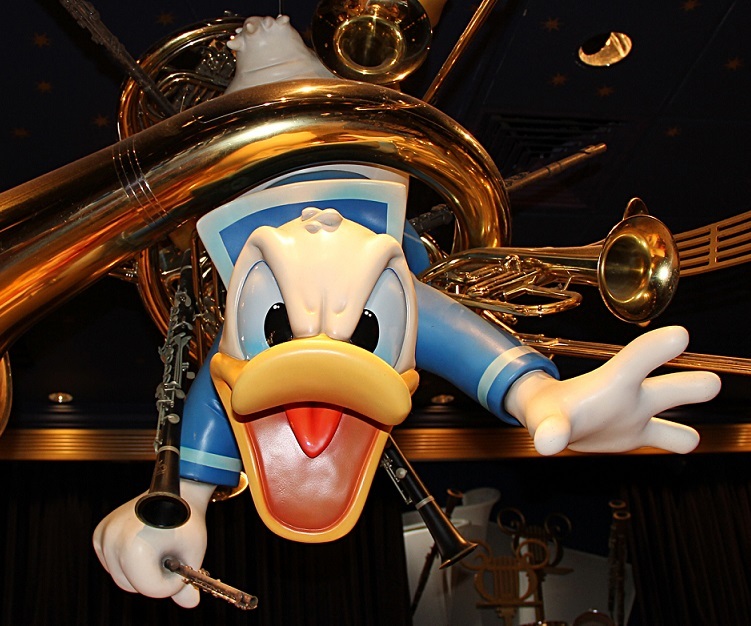 The story puts Donald in a typical jealous fit over Mickey, and of course, disaster ensues. With the help of Disney friends, Donald just may fix the mess he's created, but he'll still get his karmic due 'in the end' (you'll get that one later).